We begin with the Afro Fusion group Qwela from Uganda. Check out their profile below. 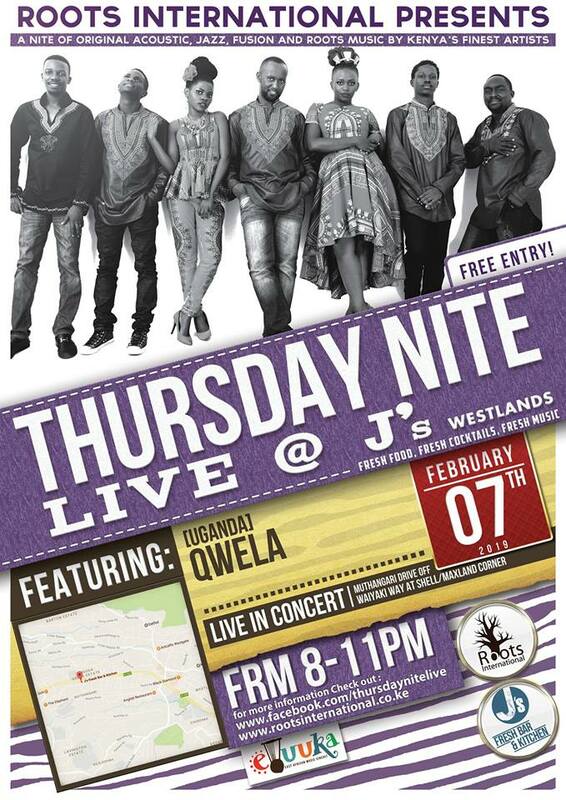 Qwela is a lively seven piece Afrofusion Band from Uganda the East of Africa. Their music is a passionate blend of a Ugandan folk sound infused with flavors of Jazz, Reggae, Blues and Rock sometimes. Their unique sound is derived from the mix of different musical backgrounds of all the members against a backdrop of their African cultural background. Qwelas music carries a message of love, hope and togetherness. Qwela are award winners for best live band in PAM awards(two time) Olive Awards, Uganda Entertainment Awards, Rising star Wards among others and have been named top band of the year in various annual music surveys Nationwide. Qwela has a wide range of performance, from original songs to covers of chart topping popular Ugandan and traditional songs. When it comes to discography, Qwela has recorded two albums i.e. ; Kidepo and Afrotopia. Both have been well received with the singles Mama Tokaaba and Eija Nkutware receiving airplay on radio stations nationwide. The Qwela Junction Concert series.